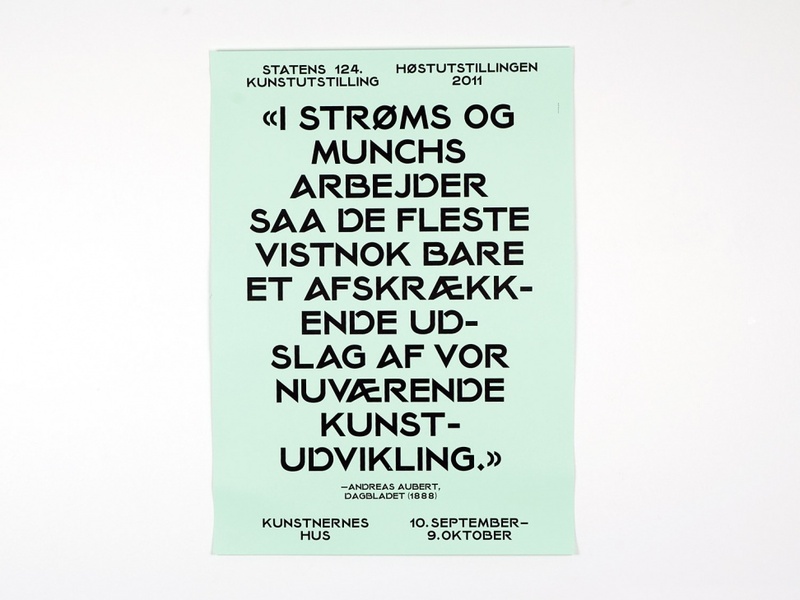 Høstutstillingen (The Autumn Exhibition) or Statens Kunstutstilling (The National Art Exhibition) is Norway’s largest celebration of contemporary art and has taken place annually since 1882. 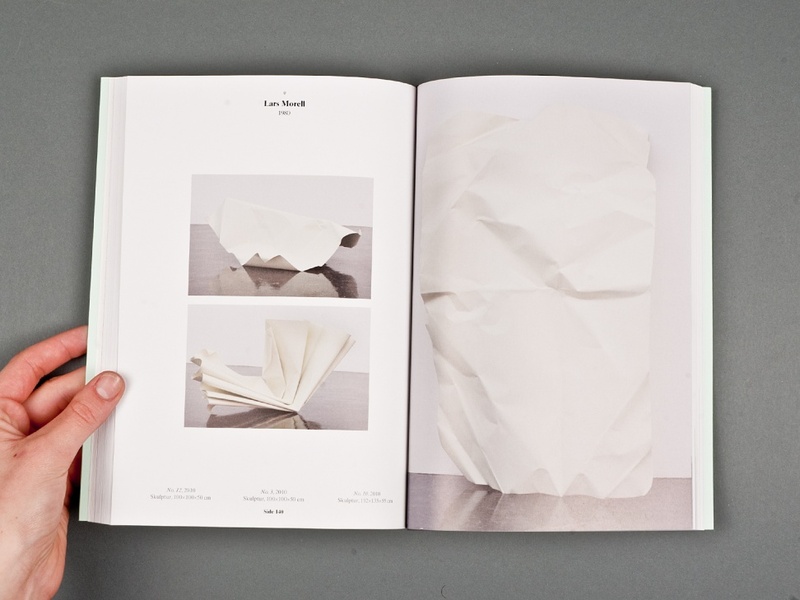 Anyone may submit their work to the exhibition and a national jury does the selection. 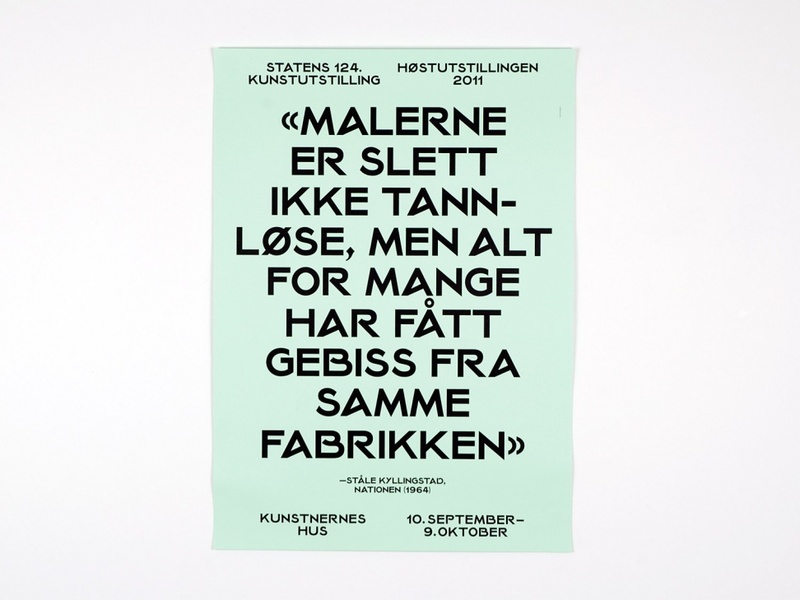 We focused our work on the historical significance and broad public awareness associated with the exhibition. 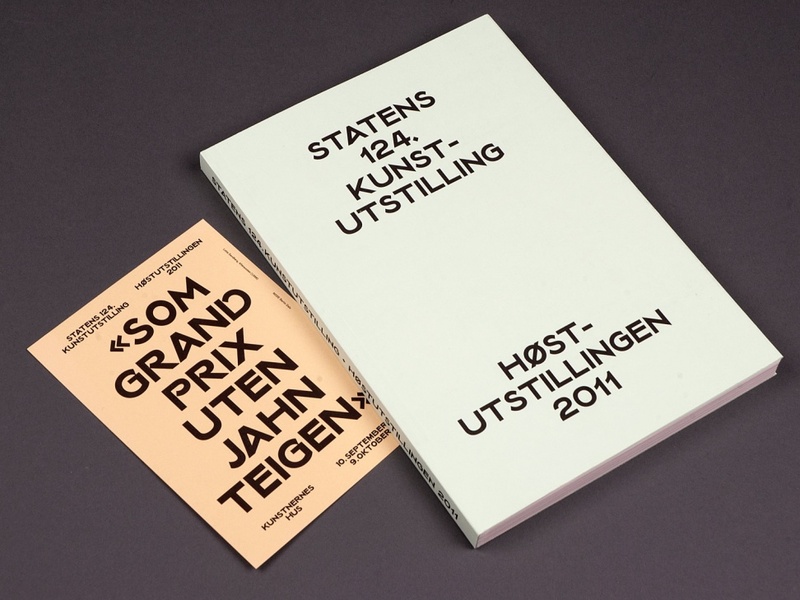 During the mid-1930s, a Grotesk typeface from Genzsch & Heyse was used for the exhibition’s catalogue covers. 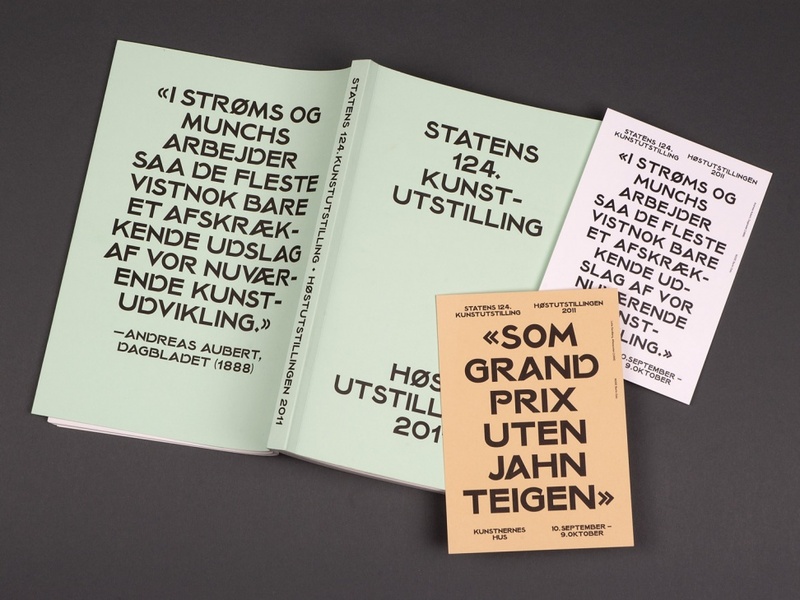 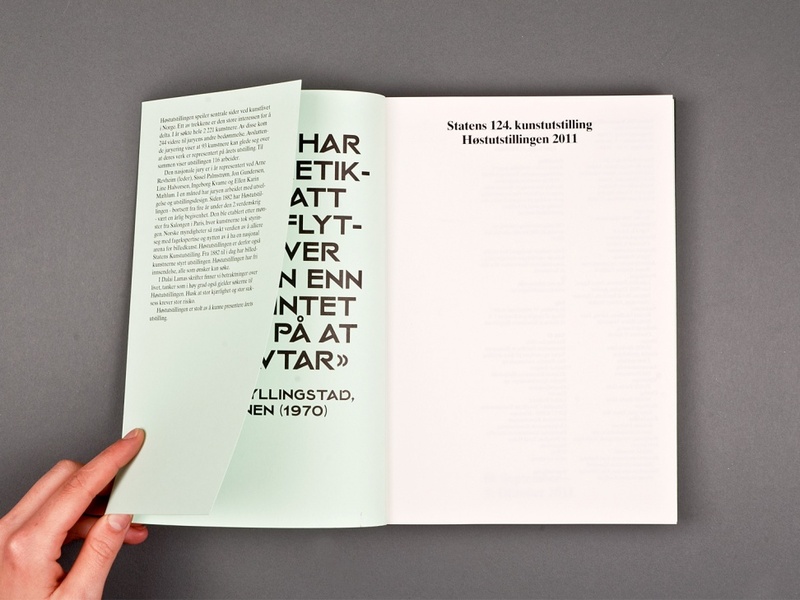 We digitalized and modified this font into a complete specimen, which became the foundation for the new Høstutstillingen identity. 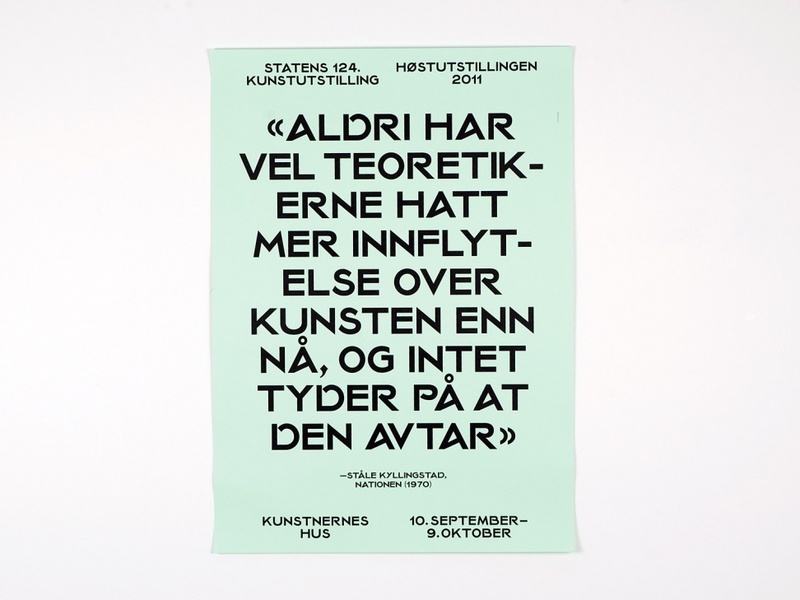 We gained access to reviews written about Høstutstillingen during its 124-year history through the archives of Norske Billedkunstnere (a national organization for visual artists in Norway). 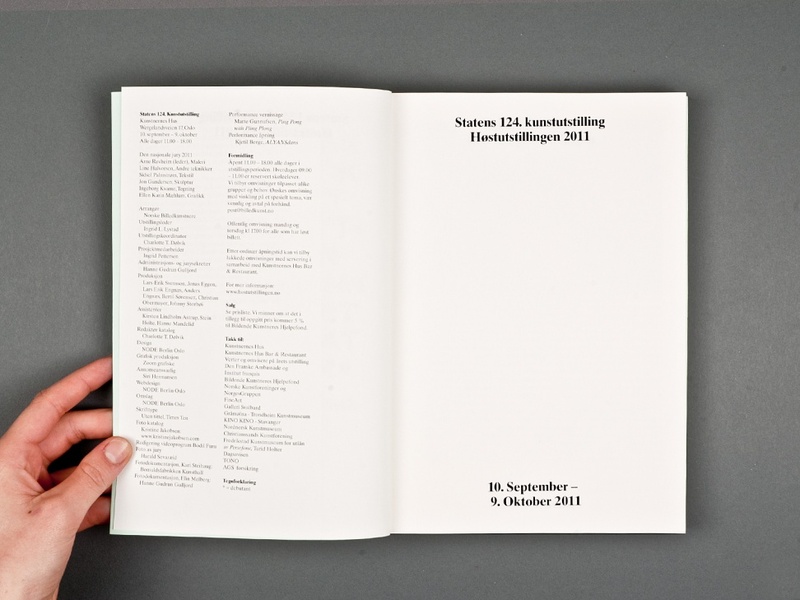 We selected a series of promotional messages developed for the 2011 exhibition.